When I traveled home from California in the midst of the for’easter last week, buoyed by confidence that, by some miracle, my flight to Philly hadn’t been canceled, I was sure that this was the end of the wintry hell-storm that had engulfed my corner of the planet for the last month. Little did I know we almost had a fifth nor’easter. 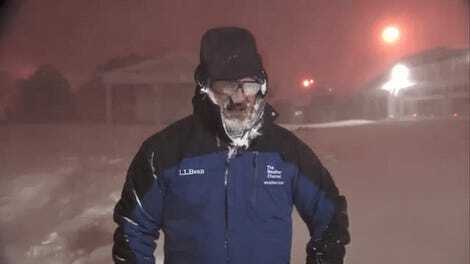 According to The Washington Post’s Capital Weather Gang, the ocean storm that almost became nor’easter five ‘explosively’ intensified off of New England on Monday night, its central pressure dropping 24 millibars in about 24 hours, qualifying it as a—you guessed it—bomb cyclone. Humans were spared the impacts of this storm, which stayed far enough offshore to have little effect other than whipping up some tremendous oceanic swells and creating solid surfing conditions up and down the Atlantic coast, according to Surfline.com. 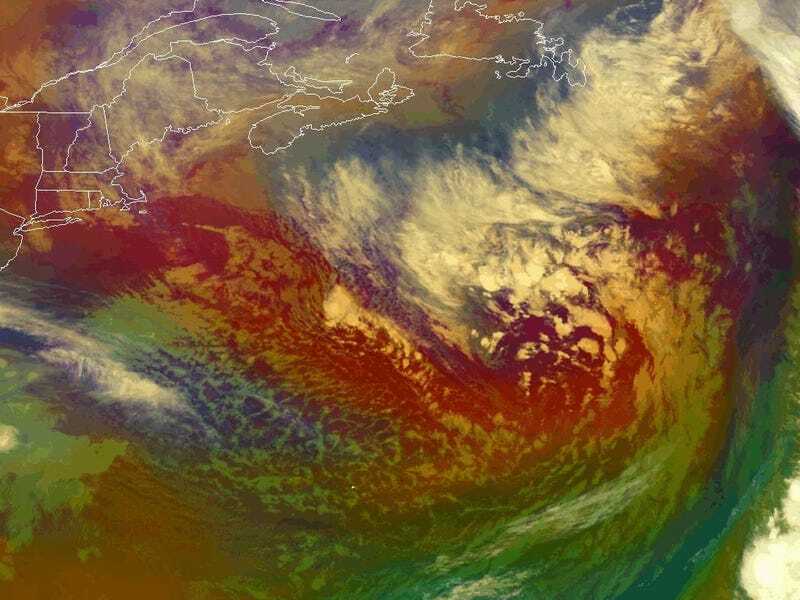 It’s been a wild month for nor’easters, storms that form due to the collision of warm maritime from the Gulf air with cold, dry air from the polar jet stream, feature cold cores, and are confusingly named for their counterclockwise rotation that delivers winds from the northeast. Why exactly the northeast has been a churn factory for these storms lately is still being debated, but many experts believe it has to do with the North Atlantic Oscillation, which dipped into record-low territory at the beginning of the month, creating a strong high pressure ridge over Greenland and the north Atlantic that encouraged the formation of a countervailing low pressure zone further south and west. The pressure gradient set up by a negative NAO not only helps fuel nor’easters, it can impede their progress out to sea. Some researchers have also discussed how climate change may be contributing to the storms’ intensity, and perhaps, their frequency. 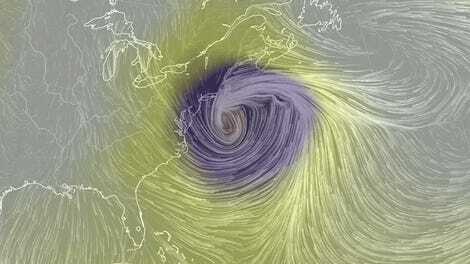 Mercifully, nor’easter number five didn’t happen, sparing coastal residents another volley of wind, snow, and flooding. 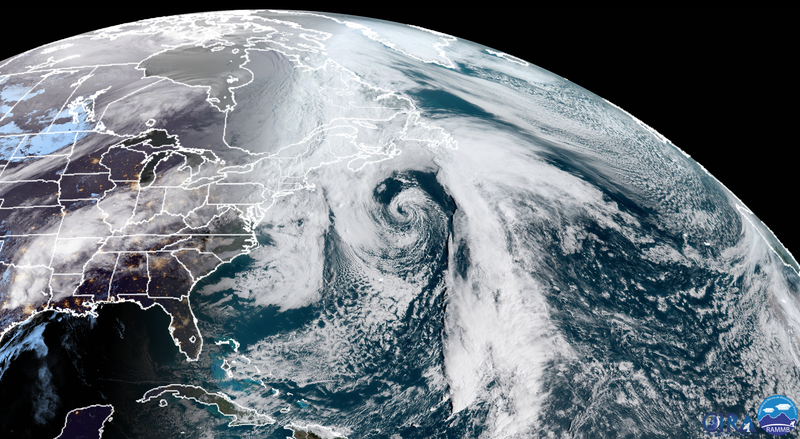 But in the era of high-resolution satellite imagery, the storm did manage to produce some glorious new desktop backgrounds.